Globally, over three billion people rely on traditional biomass for cooking and heating, and about one and a half billion people are without access to electricity. In India, over two fifths of rural household still lack access to electricity and over four fifths or rural households is dependent on traditional biomass for meeting their cooking energy needs. Ensuring universals access to energy remains a key priority for the Government of India. India recognizes the critical role of renewable energy as a key driver of universal energy access and has embarked on a massive agenda of energy access. India is also convinced that achieving universal energy access would require new approaches in energy provision that combine technical and institutional changes and international collaboration especially among developing countries. The objective of the Program is to provide Access to Electricity in Rural Areas mainly through deployment of off-grid electricity generation systems using any kind of renewable energy source. Under the Program it is envisaged to cover un-electrified census villages and hamlets/ un-electrified hamlets of electrified census villages and electrified villages/hamlets where power availability is less than 6 hours per day averaged over the year. It is intended to cover all the households in the eligible village/hamlets, including those in the Dalit Bastis of the village (approx. l00w per household and some additional load for streetlight and productive load). The scheme will be implemented by setting of MINI/MICRO GRID wherever possible. Other modes will be small power plants for individual household or neighbourhood consisting of two or more families on ownership basis. 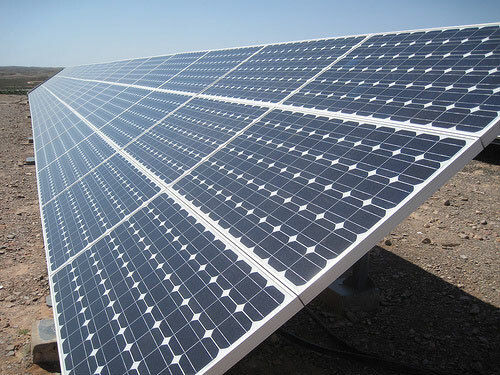 In scattered population areas, if this is also not possible, then as a last resort, standalone solar lighting systems for each of the willing households in the village may be provided. Some of the following future trends in global developments, including the developing countries are becoming the cause of concern, as it is threatening the very survival of the humanity. 4) Dwindling fossil fuel resources due to wide pace of burning of fossil fuels in an un-sustainable manner, which is ever increasing and causing pollution and contributing the greenhouse gases (GHGs) to the atmosphere. Biogas is so far, has mostly been used as fuel for cooking and running stationary engines. However, its potential has not fully utilized, yet. There is a great enhancement in its utilization potential particularly where bigger plants are in operation e.g. 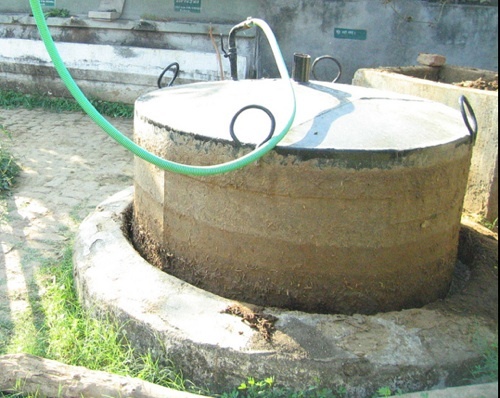 institutional biogas plants in Goshalas, dairy farms or community biogas plants in villages. Goshalas are running generally on charity basis and most of Goshalas are not in sound financial position. Enrichment and bottling of biogas will help to improve it. India has a vast potential of 6.38 X 1010 cubic meter of biogas per annum from 980 million tonnes of cattle dung produced. There are number of Goshalas, dairies, village communities having large number of cattle which have potential of installing biogas enrichment and bottling system. In urban areas, large quantity of biogas can be produced in sewage treatment plants using anaerobic digestion. Biogas comprises of 60-65% methane, 35-40 % carbon dioxide, 0.5-1.0 % hydrogen sulfide and rests of water vapour. It is almost 20% lighter than air. Biogas, like Liquefied Petroleum Gas (LPG) cannot be converted to liquid state under normal temperature. Removing carbon dioxide and compressing it into cylinders makes it easily usable for transport applications, say three wheelers, cars, pick up vans etc. and also for stationary applications at various long distances. Already, CNG technology has become easily available and therefore, bio-methane (enriched biogas) which is nearly same as CNG, can be used for all applications for which CNG are used. Looking at the importance of this technology especially for rural Rajasthan which has excellent livestock population, we are committed to promote this technology up to the grass root level mainly through participatory approach in which community or villagers will install, manage and maintain these plants.